The surveyors of the Hanseatic City have developed a NTv2 grid file called Beta_FHH_NW.gsb for coordinate transformations with accuracy from two to fife centimeters inside the Federal State and metropolitan area of Hamburg. The encrypted NTv2 file, downloadable from the KilletSoft website, only works with the transformation program TRANSDAT and the Software Developer Kit GeoDLL from KilletSoft. In this case, the usually required payment to the authority for using the grid file Beta_FHH_NW is omitted. There are only to observe the usual terms of the authority. The use of the encrypted grid file downloaded from the KilletSoft web site with other transformation software is impossible for licensing reasons. Download the encrypted NTv2 file, usable only with KilletSoft?s products TRANSDAT and GeoDLL, from the website http://www.killetsoft.de/p_gdln_e.htm. 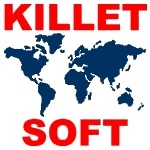 On this site you can find more NTv2 grid files of other German Federal States and from many European and overseas countries, for which KilletSoft has concluded cooperation agreements for free use. Under this URL moreover we have compiled all known world-wide freely available NTv2 files for your free download. Detailed information about the program TRANSDAT for global coordinate transformations can be found at the web-address http://www.killetsoft.de/p_trda_e.htm. The Geodetic Software Developer Kit GeoDLL is described at http://www.killetsoft.de/p_gdla_e.htm.